According to my vigorous search of on-line listings, this official holiday is being celebrated by one guy. 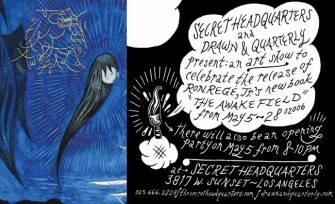 If that makes you as sad as it makes me, rally in good spirit by attending Ron Rege's Awake Field launch party tonight from 8-10 at Secret Headquarters in Los Angeles. It looks like the stunningly appointed SHQ may only have two chairs, so get there early.